Obituary: Jazz giant Oscar Peterson - Gordon Lightfoot Book, Music and More! 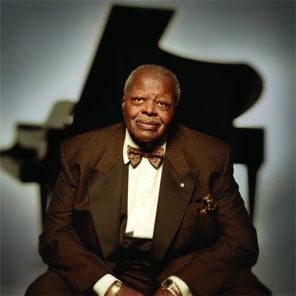 Few pianists swung as hard or played as fast and with as many grace notes as Canada’s Oscar Peterson. The classically trained musician could play it all, from Chopin and Liszt to blues, stride, boogie, bebop and beyond. He led his own jazz trios, performed with such legendary figures as Ella Fitzgerald, Count Basie, Dizzy Gillespie and Louis Armstrong, who called him “the man with four hands,” recorded more than 200 albums and wrote such memorable works as “Hymn to Freedom” and the “Canadiana Suite.” “A virtuoso without peer,” concluded his biographer, Gene Lees, in The Will to Swing. When Peterson died this week, music lovers around the world mourned the loss of a lyrical stylist and one of the greatest piano players of all time. The story of Peterson’s rise from immigrant poverty to world fame is one of popular music’s great inspirational tales. Born in Montreal’s St. Henri district, Peterson was the fourth of five children born to a Canadian Pacific Railway porter and his wife who came to Canada from the Virgin Islands. His father, Daniel, a self-taught amateur musician and a strict disciplinarian, insisted that his children develop musical skills. Oscar began on piano and trumpet, but dropped the latter at age seven after a bout with tuberculosis, a disease that took the life of his brother Fred. By 14, he was studying with Paul de Marky, a renowned Hungarian-born classical pianist who piqued his interest in jazz, particularly the pianist Art Tatum. Peterson always credited his sister Daisy, a noted piano teacher in Montreal who also taught such Canadian jazz musicians as Oliver Jones and Joe Sealy, with being an important teacher and influence on his career. Soon, the young Oscar was winning piano competitions. But his father never let it go to his head. He played his son a recording of Tatum’s “Tiger Rag,” which caused him to quit piano for two months. Peterson credited his father with instilling in him an unwavering will to succeed. When Oscar dropped out of high school to play in the Johnny Holmes Orchestra, becoming its only black member, a displeased Daniel gave him some stern advice. Recalled Peterson: “He told me, ‘If you’re going to go out there and be a piano player, don’t just be another one. Be the best.” The 17-year-old Oscar took the words to heart. Within a few years he was leading his own trio at Montreal’s Alberta Lounge, where he developed his distinctive style and attracted some illustrious onlookers, including Basie and Fitzgerald. Then, on one fateful night, American jazz impresario Norman Granz heard Peterson at the club and was so impressed that he invited him to play at New York’s Carnegie Hall. Peterson’s appearance on Granz’s Jazz at the Philharmonic program in 1949 was a watershed event. Peterson didn’t have a work visa, so Granz decided to introduce him as a surprise guest on the bill at Carnegie that included Charlie Parker, Lester Young and Coleman Hawkins. Although the young pianist was terrified, Granz assured him it would be worth it. “He told me, ‘You’ll know if you have what it takes, and if you do what you do and they love it, then you know you’ve made it,’” Peterson later recalled. Performing with bassist Ray Brown, who would become a longtime sideman, Peterson brought the house down with his renditions of songs like “Fine and Dandy” and “Tenderly.” The 24-year-old musician “stopped the concert dead cold in its tracks, reported Down Beat magazine, which added that the pianist displayed “a flashy right hand, a load of bop and a good sense of harmonic development.” Peterson’s course—with Granz as his manager—was set. 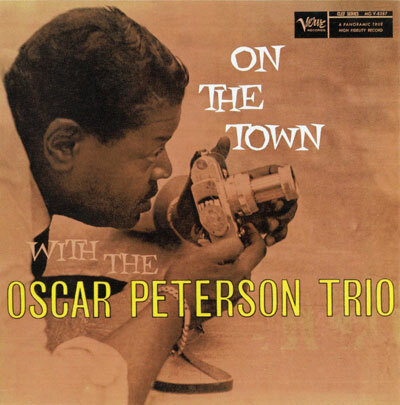 Over the next 50 years, Peterson played in a variety of trios, including those with Brown and guitarist Herb Ellis (1953-58), Brown and drummer Ed Thigpen (1959-64), bassist Sam Jones and drummer Bobby Durham (mid-60s) and guitarist Joe Pass and bassist Niels Pederson (late ’60s). During this time, he records such memorable albums as 1956’s Stratford Festival recording, 1958’s On the Town, recorded at Toronto’s Town Tavern, and 1962’s Night Train, which included a number of Duke Ellington pieces as well as Peterson’s own “Hymn to Freedom.” Then, in 1964, he produced his best-known work, Canadiana Suite, with each of the album’s tracks inspired by a different region of the country. Peterson called the project “my musical portrait of the Canada I love,” and it was nominated for a Grammy Award in 1965. He ultimately won eight Grammys throughout his career, including the Lifetime Achievement Award in 1997. The recurring cycle of recordings and tours took its toll on many of Peterson’s sidemen, who gave up work with the master due to personal or health reasons. Some fell victim to the bottle or drugs. Peterson, who always avoided such things, kept going, performing solo frequently in the ’70s. But he, too, paid the price for touring, which kept him from his wives and children. “How destructive was [the road] for me?” he once asked a CBS TV reporter rhetorically. “Almost four divorces. That’s how destructive it can be.” Peterson recounted in his 2002 autobiography A Jazz Odyssey how his breakup with third wife, Charlotte, separated him from their son, Joel, for whom he wrote the tune “He Has Gone.” “They now live somewhere in eastern Canada,” Peterson wrote. “This had been a dreadful loss.” Peterson seemed to find personal happiness in his fourth marriage to Kelly Green, with whom he had a daughter, Céline, in 1991 when he was 66. He credited them with helping him to find a balance between family and music. Peterson possessed a boyish sense of humor and was renowned for his love of laughter. He was also a notorious practical joker. 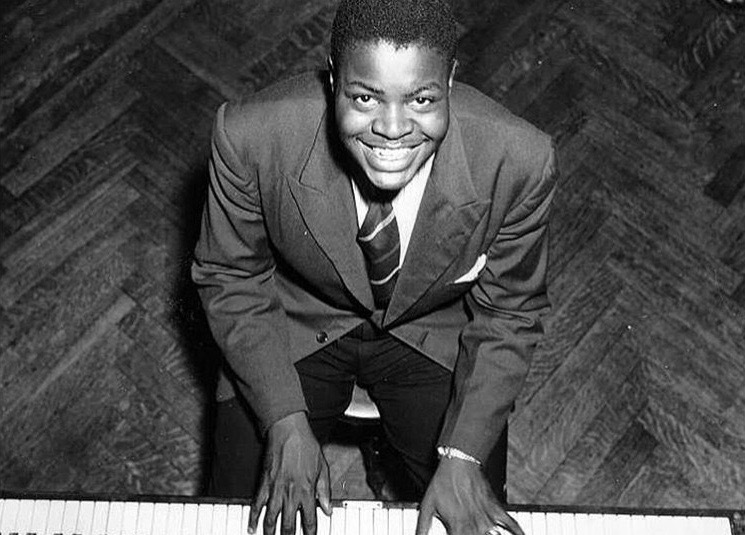 His playful, mischievous side was something that came through in two documentaries: CBC’s The Life and Times of Oscar Peterson and the National Film Board’s In the Key of Oscar, which was produced by his niece, former basketball star and Canadian Olympian Sylvia Sweeney. The latter film recounted some of the early incidents of racism that Peterson encountered in his career and featured his emotional journey back to Montreal for the first-ever reunion of the extended Peterson family, including grandchildren who had previously only ever seen him on television. Beyond his career and family, Peterson pursued his twin hobbies of photography and fly fishing, which he undertook at his cottage in Ontario’s Haliburton Highlands. He also involved himself in the academic side of music. In 1960 in Toronto, he opened the Advanced School of Contemporary Music with Ray Brown, Ed Thigpen and clarinetist Phil Nimmons. Peterson’s students included Skip Beckwith, Brian Browne, Wray Downes and Bill King. Although his touring commitments forced the school to close in 1964, Peterson returned to teaching at Toronto’s York University in 1986 when he was appointed as adjunct professor of Music in jazz studies. He remained involved with the university afterwards, serving as its Chancellor from 1991 to 1993. A two-date reunion in 1990 with his most famous trio, featuring Ray Brown and Herb Ellis (also featuring drummer Bobby Durham) at New York’s Blue Note club resulted in four separate album releases. Critics hailed Peterson’s playing from this legendary engagement, citing his emotional depth and softer playing style. Three years later, while performing again at the Blue Note, Peterson suffered a stroke, something he only realized after returning to Toronto to receive the Glenn Gould Prize. The stroke weakened his left hand and sidelined him for two years, during which time he fell into a depression. But he credited friends like bassist Dave Young for encouraging him to return to performance, which he did with the help of intensive physiotherapy. In 1999, he returned to Carnegie Hall with guitarist Ulf Wakenius, bassist Niels-Henning Orsted Pedersen and drummer Martin Drew. His left hand could no longer “conjure the rumbling musical earthquakes of old,” wrote The New York Times, but his right hand’s inventive, fluid work alone prompted several standing ovations. Throughout his career, Peterson inspired countless musicians. Duke Ellington called him “a man who’s blessed with great talent, has acquired tremendous skill and executes it with unlimited authority.” Ella Fitzgerald said of him, “to me, he’s like a brother and a friend and one of the greatest you’ll ever meet.” Diana Krall, who celebrated Peterson’s 80th birthday with him at his Mississauga, Ont. home in 2005, remembers how he invited her down to his basement studio. “He said, ‘Hey, Dee, come down and check out the box,’ which meant his 10-foot Bosendorfer (piano),” Krall recalled. “The only problem was then you have to play for him. So I played some Nat Cole tunes and we sang some duets together. The fact that I got a chance to sit and talk with him and laugh with him and his family is pretty great. It stays with you.” Added Krall: “If I ever feel like I’m needing a boost, I listen to Oscar.” Many of Peterson’s fans around the world, drawn to his magical touch, feel the same way. Oscar Emmanuel Peterson was born in Montreal on Aug. 15, 1925. He died on Dec. 23, 2007. He leaves his wife, Kelly, and six children, Lynn, Gay, Oscar Jr., Norman, Joel and Celine from different marriages.